Heseltine: Tory song is out of date Jump to media player Tories should "change the song, not just the singer" before the next election, says Lord Heseltine. Theresa May: 'I'm here for the long term' Jump to media player The prime minister told the BBC she would lead her party into the next general election. Heseltine's 'great disappointment' at sack Jump to media player Tory peer Lord Heseltine is sacked as a government adviser after rebelling over Brexit in a Lords vote. Heseltine v Forsyth on Brexit bill Jump to media player Lord Forsyth says a bid to ensure Parliament gets the final say is a "ridiculous proposal". 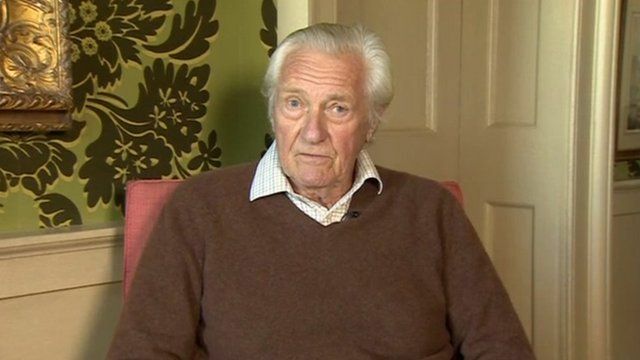 The Conservative Party should "change the song, not just the singer" before the next general election, ex-deputy prime minister Lord Heseltine has told the BBC. On Wednesday, Theresa May said she intended to lead her party into another election, whenever that was. But the Swansea-born peer told the Victoria Derbyshire programme it was "unrealistic" to assume Mrs May would fight the next poll as Tory leader. Earlier, on BBC Radio Wales, he predicted an election within two years and called for a new Conservative approach to Brexit.